There is a rumour that US president Thomas Jefferson was romantically involved with one of his slaves – the fair-skinned Sally Hemings… and even had kids. This movie is about that relationship. This was on TV in Sweden when I was struck by Sam fandom overnight and probably had something to do with it. For a good reason. Maybe the sort of story of more interest to the female audience. Malloy, the old cat burglar. Sam was very flattered to be a part of the Simpsons, as it’s one of his favourite shows. He doesn’t get to say a lot, though. Nice costumes, nice scenery, and that’s about it. Sigorney Weaver as the wicked stepmother. Sam as Snow White’s gullible dad. A scary fairy tale. And the dwarves are not even dwarves. 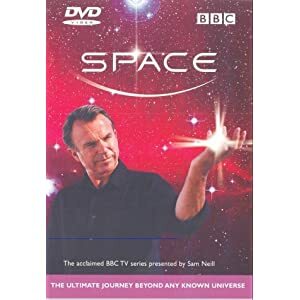 A BBC series about astronomy presented by Sam surrounded by nice CGI. If you’re not into astronomy, give it a fair chance, it’s actually really interesting! 🙂 This show makes it easy to understand it as well. Very very good stuff. Highly recommended! David Wenham (LotR, Van Helsing) plays Murray Whelan, a bloke amongst others in a politician’s staff. 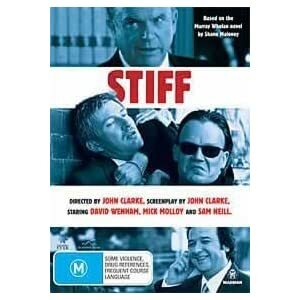 It’s a crime/comedy story and works very well. Wenham is great as the somewhat disorganised Murray, and Sam is a somewhat corrupt boss of a meat factory. Where people die. Good fun! 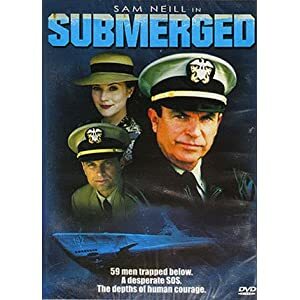 Submarine sinks in the… 1940s? Rescue team tries to get the crew up. Featuring Sam playing a ukulele in a decompression chamber. Not too bad a film, actually. If your idea of fun is Sam not looking at beautiful women, but instead at beautiful boys, you’re in for a great big laugh. 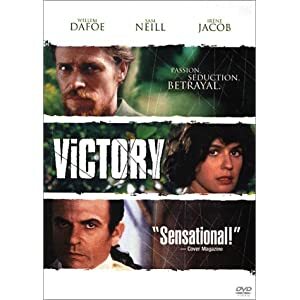 Based on a book by Joseph Conrad. Stars Willem Dafoe, who saves a female musician from bad guy, who sends Sam and some other baddies to where they are. They’re in Asia and it’s 1913. I don’t remember much about it, to be honest, but it involves some shooting. Not too bad. Also has small parts by Simon Callow and Bill Paterson. A light-weight British romcom in the tennis world. Sam plays Kirsten Dunst’s father, who is against her having Paul Bettany as a romantic interest. Dunst is mainly annoying, Bettany is charming and Sam brings some proper weight to an otherwise light script. The movie is not a waste of money if you like the genre, but it is no match for any of the memoralble Richard Curtis movies. Bored wife (Sally Potter) of a politician (Sam) starts having an affair with a Lebanese chef. The dialogue is completely in verse. This is an artsy movie. You’ll love it if you’re a critic. If you’re not, chances are you’ll be very bored. I know I was. The events of a zoo in former Yugoslavia during the civil war. Sounds fantastically dull, but is actually quite good. Not the sort of movie I’d normally enjoy. 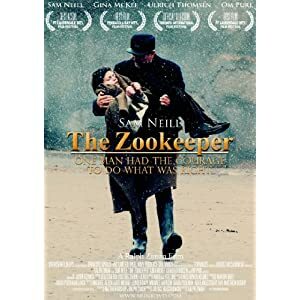 Sam is the last employee of a zoo to stay on, as the war is raging outside the gates, but someone needs to look after the animals. Also features a mother and her young son who seek refuge there. Like I said, sounds dull, but is good. Sam won the Jury Award for Best Actor at Ft. Lauderdale International Film Festival.